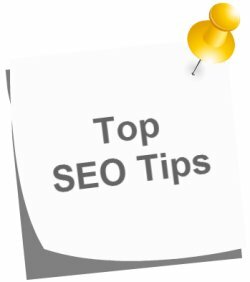 Ten top SEO Tips for an SEO Strategy Plan to achieve long term success in Google. OK, so you’ve chosen a niche for a site on a subject you are passionate about, what SEO tips can help build a site with both search engines and visitors in mind? Once you have decided up on your website niche the next step would be to analyze your SERPs competition and the audience you are going to focus on, some people feel they want to start a website or blog that will cover a wide range of audiences and start to blend in all topics into their site, but this is definitely not recommended especially when you are doing the whole project yourself and doesn’t give you a proper focus on a particular subject. So when you choose your niche just make sure you are choosing something more specific. Sites that talks about food in general may not be the right choice of niche but instead choosing a niche that only talks about Chinese food or Italian food can be a right choice to give you a clear idea on your competition and the audience you are going to target via SEO. When you have decided on your focused niche and audience it’s time to choose the right domain name, if possible try to get a domain name that will have the right keywords in it separated by hyphens (-) that will focus your audience. If you are developing a site on Chinese foods then choose a domain name that will have Chinese and some other term related to food in it like cuisine for example: chinese-cuisine.tld can be a right domain name for a site that mainly focuses on Chinese food. note: Google sees the hyphen (the dash -) as a space, so register domains separated by hyphens, not domains like chinesecuisine.tld. Selecting the right set of keywords is one of the primary SEO goals when you are planning an SEO strategy, one of the best tools on the net to analyze keywords is the Google keywords tool which comes for free and also gives you more accurate results on the number of searches being made for particular term per month and other details you might need. Once you are done with the keyword research then next step would be to prioritize your keywords accordingly, you can prioritize your keywords based on the competition into three levels by keeping the more competitive search engine terms on the level one and move the less competitive ones to the next level accordingly. That way you start to gain more clear focus on your goals. Planning the right set of categories (especially for WordPress blogs) will play a vital role in your on-page optimization, you need to make sure your categories are more focused on the keywords you are going to use for your whole SEO campaign that make sure that they are complementing the keywords you are focusing up on in your articles in someway that way you can not only have a site that has a good navigational structure that users and visitors of the site will love, but also it will help you to rank high in search engines. Think keyword rich category names. You need to produce content that are more relevant to the categories you have created and use the right amount of keyword density (don’t be spammy) and you must make sure you are not over using your keywords in your content and make it look like a spam for search engines. You might have noticed that I link to my other related article while I write this, the reason is internal links to related posts help your page to rank higher and also it helps to keep your readers engaged in your site for a longer period of time and also helps them to gather more interesting information which will make them stick to your site and possibly become a valuable client or customer. Writing for your audience should be your first priority, when you move with your audience and users more, its more likely they will start to like you and your site, Twitter is a good way to keep in touch with your loyal users, also interacting with your visitors through comments, also reaching out to your visitors websites and blogs to comment on their articles will really give them a good impression about you and your site and its in fact a must do thing in your overall site development strategy. Why it is important to be consistent? Not only visitors don’t like a dead site with no new fresh contents updated periodically, search engines won’t care to crawl through a site which they find to be dead with no updates and start to lower your rankings, so it’s a important that if you want your pages to rank high and also to get a good reputation among your audience you must focus on being consistent with updating your site.